Happy Birthday King of Pop! Today would have been the 53rd birthday of the legendary entertainer, Michael Jackson. MJ is an ultimate fave here at B.A.F.F.L.E.D. and of course to many around the world. So as we celebrate his life, watch a video or 2, sing along and consider yourself "saved by the sound of a Michael song"...or "mama-say-mama-sah-mah-mah-cu-sah"--whichever you prefer. He sent us so many amazing messages in his music. Here's hoping we can put some of them into action. we all you miss MJ! Michael Jackson! 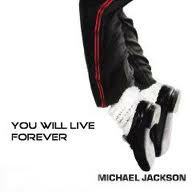 May your sould rest in peace King of Pop.